At the moment it seems that brands are keen to introduce strip style bronzers and highlighting powders. Not that I am complaining (that makes a change eh?) as you typically receive more bang for your buck and I do love a good saving. 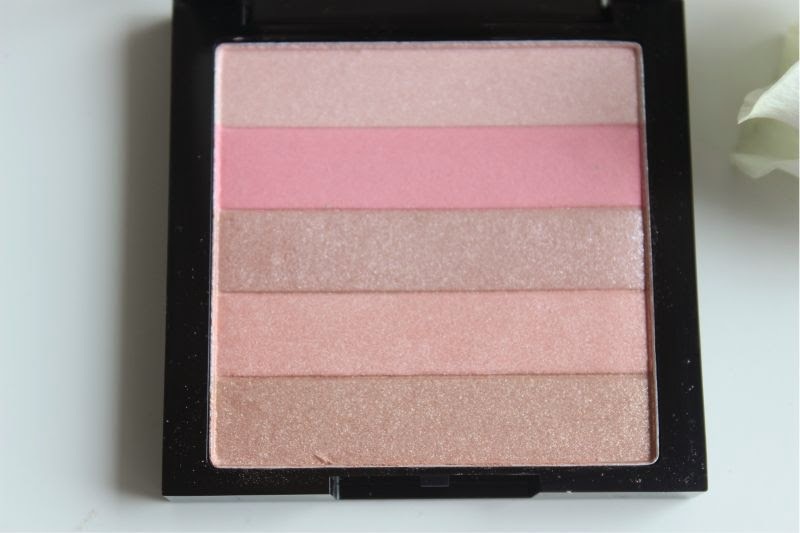 Enter the Revlon Highlighting Palettes, in particular the shade Rose Glow. 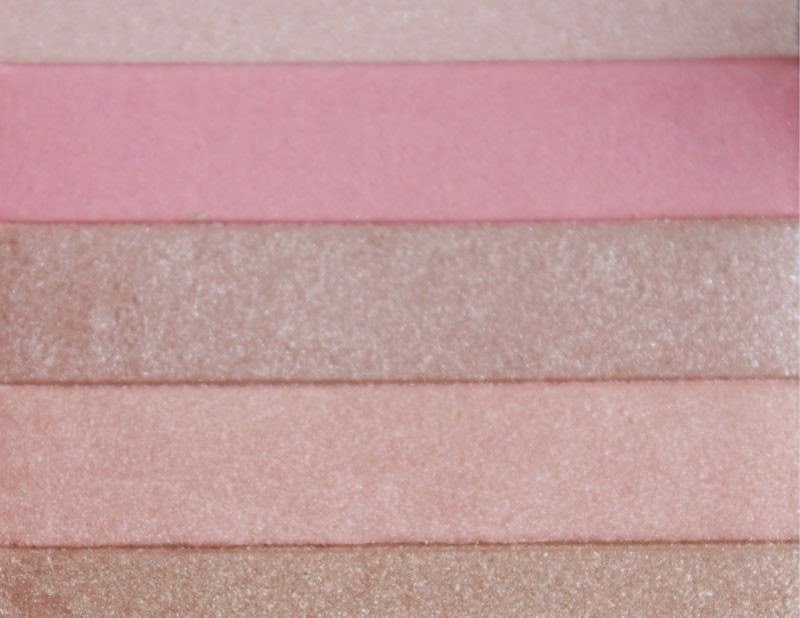 The bar come strip style means you can of course use it as a solid block or use each strip individually as eyeshadow. Yes really! The packaging of the Revlon Highlighting Palettes is nothing remarkable nor is it worthy of complaint. 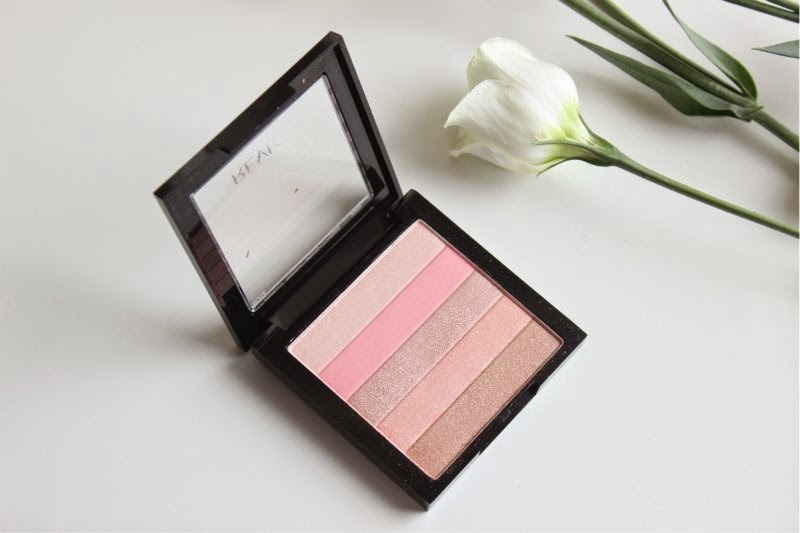 A small square black, glossy plastic compact that features a transparent lid so you can easily see the shade held inside. Admittedly it is not the prettiest out there but it more than does the job and is fairly robust so it should be ideal for daily transportation a.k.a it survived a fairly rough journey in my handbag. 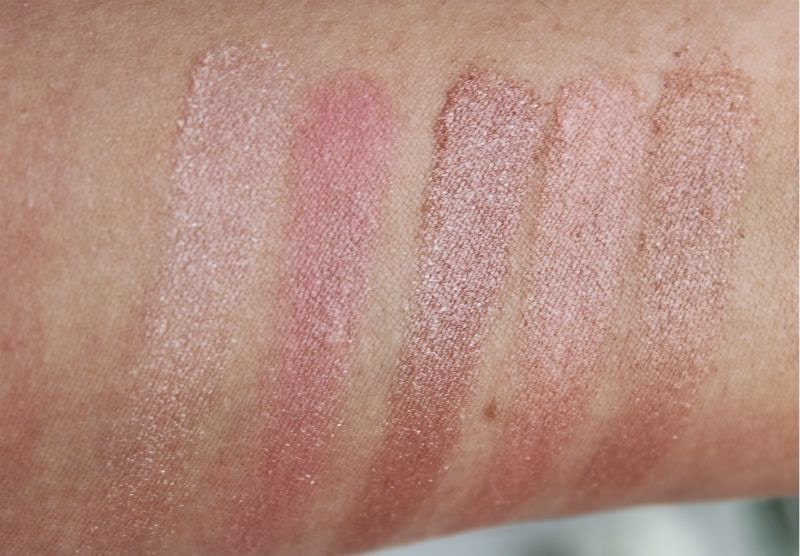 The Revlon Highlighting Palettes come in two colour ways : Bronze Glow (you can read this review here) and Rose Glow. 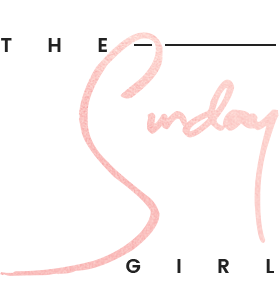 After trying out the Bronze Glow palette I quickly went back to Boots and purchased the other version as the rose gold hues coupled with a good few bronze tones and a bright pink rather appealed to me. 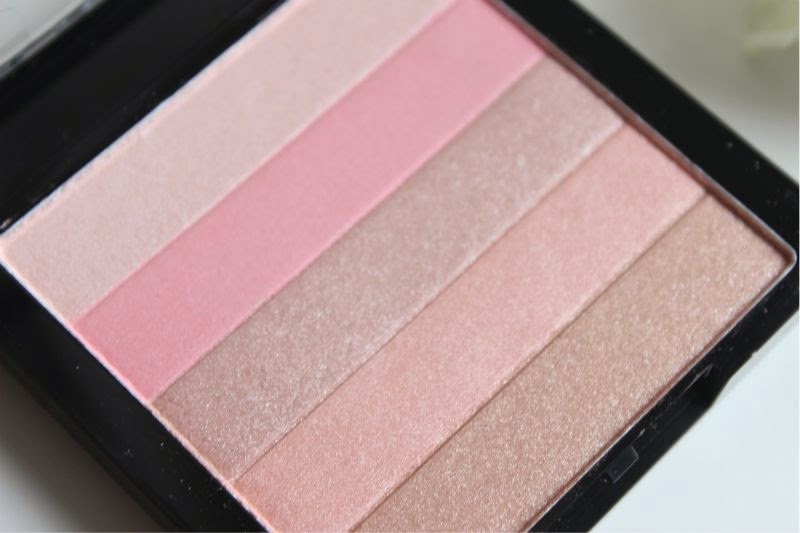 When applied as a blush this palette creates a soft,almost oyster pink hue that is flattering yet shimmer based. I have to be utterly honest and state that unless you have a light complexion this will be a highlighter rather than a blush. 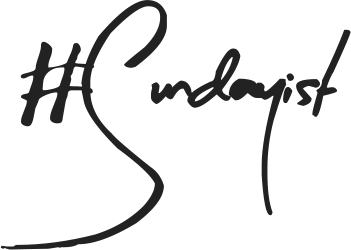 Should you have a pale skin tone the good news is that you can skip separate highlighting if you so wish! You can of course apply the shades as individual shades which in my opinion works best with a small brush making the Revlon Highlighting Palette the perfect mini eyeshadow kit. 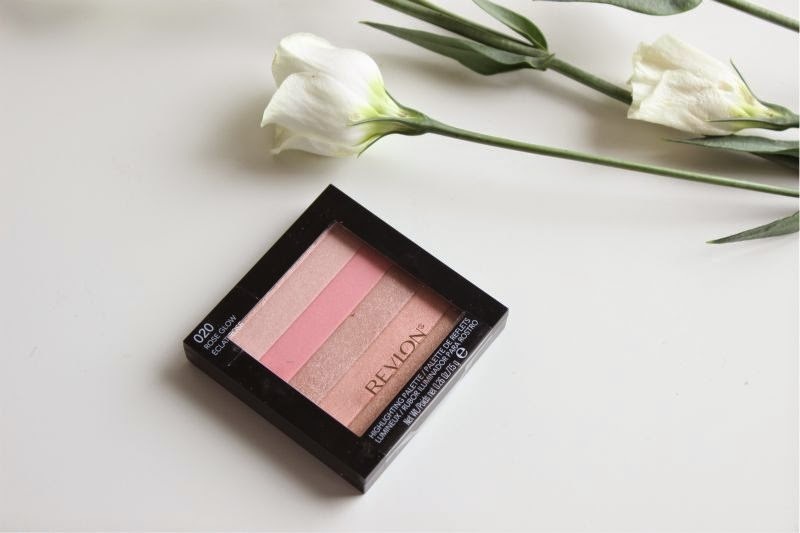 The texture of the Revlon Highlighting Palette is firm in texture but is well pigmented. On the plus side the firmness does mean that it is hard to over do it in terms of application and it isn't prone to product fall out. I do recommend using in conjunction with a primer in both instances (be it on the face or eyes) as without one I did find that my oily skin reduced the wear time significantly. On my eyes this wears for a good 8-9 hours with a primer and closer to 6 if used as a blush/highlighter. 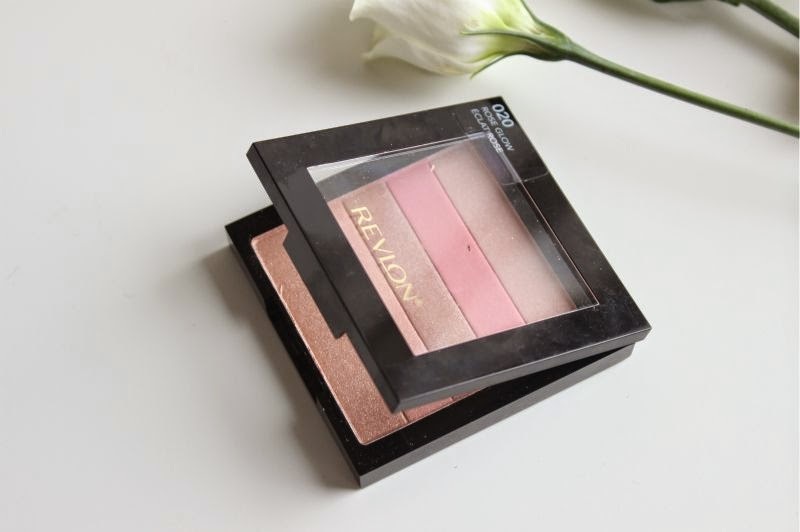 If you are looking for a good all round pinky toned palette that won't cost the earth I do recommend giving the Revlon Highlighting Palette in Rose Glow a whirl, especially if like me you enjoy multi-tasking products. 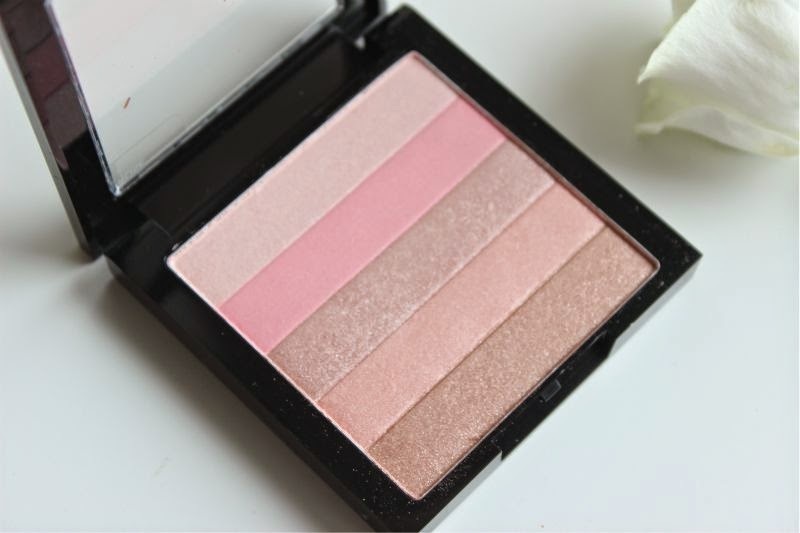 Revlon Highlighting Palette in Rose Glow £8.99/7.5g via Boots - link. They remind me of the Bobbi Brown blushes. The pictures look super pretty and I would probably wear them as eyeshadows rather than a blush/highlighter. I do like the look of this product! It has a lovely mix of colours that will suit anyone. I may have to purchase this! 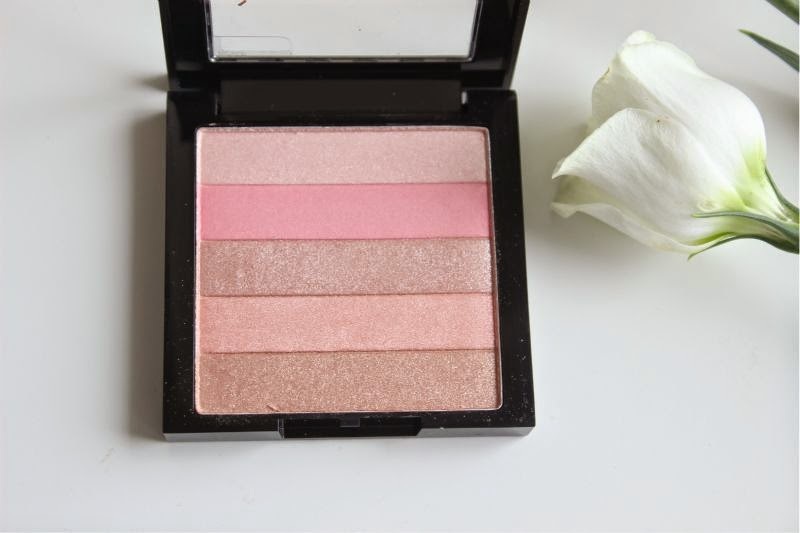 I love Revlon blushes so now I'm definitely going to have to give this a go! These colours are so pretty! This seems like a pretty versatile product that you can just carry around in your purse. 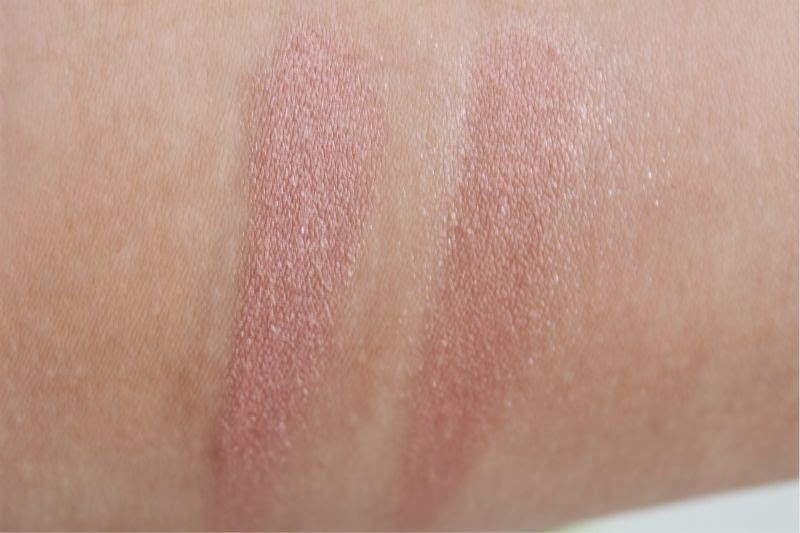 Looking at the strips, this may be a good dupe for Bobbi Brown shim me bricks! The shades are so pretty!